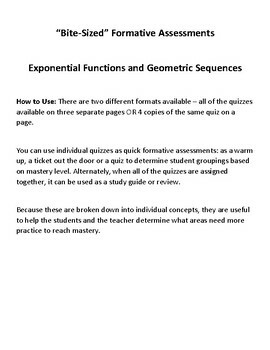 Are you looking for quick formative assessments to use as warm-ups, exit tickets or placement quizzes for cooperative grouping? Or, are you looking for a comprehensive review or study guide? 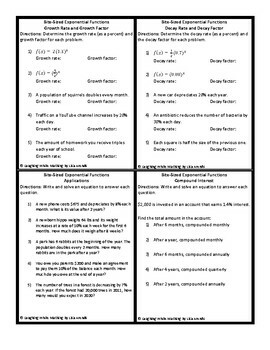 These bite-sized assessments meet both of those needs. 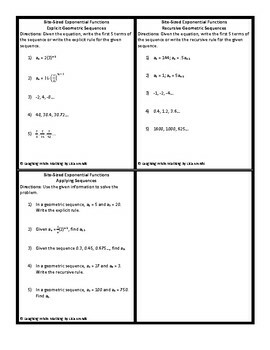 Each 5-question quiz addresses a single concept area within a unit on exponential functions and geometric sequences. 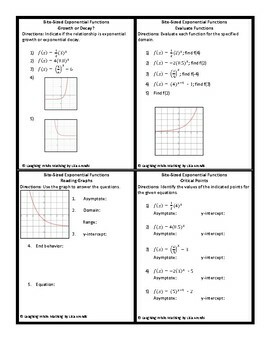 There are 11 quizzes overall and they cover exponential functions and graphs, applications of exponential functions and explicit and recursive geometric sequences.